It happened about a week ago. I was sitting in traffic and looking around, as I sometimes do when I’m not texting, and there it was: one of the rarest modern production cars in existence. For those of you who don’t know which one I’m referring to, a few hints. Think turbocharged power. Think all-wheel drive. Think of a production facility in an exotic, foreign country known for beautiful beaches, expensive resorts, and the occasional tourist beheading. 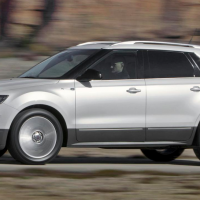 That’s right, ladies and gentlemen: I’m talking about the Saab 9-4X. 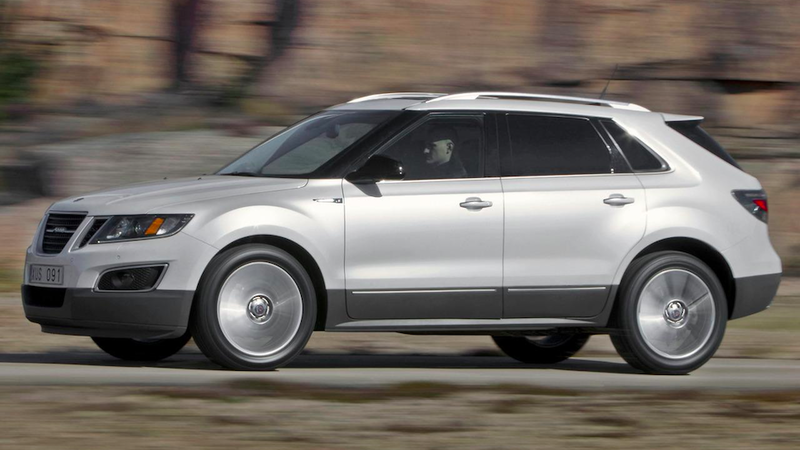 Now, if you’re not sure exactly what a Saab 9-4X is, you aren’t alone. 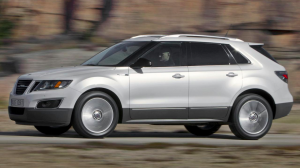 Many people don’t know what a Saab 9-4X is, including most 9-4X owners, because if they did, they probably would’ve bought something else. But if you’re Saably unaware, don’t fret: that’s why you have me, a professional automotive journalist with access to Wikipedia. It all started in the 1990s when Saab, who, by the way, is born from jets, was sold to General Motors. Eager to transform Saab into a volume brand, GM executed an unusual 15-year plan that involved two distinct steps: first, a decade of doing nothing; then, several years of desperate rebadging. I am told that some GM insiders now question the effectiveness of this strategy. But the 9-4X was too little, too late. Saab declared bankruptcy before sales took off, and production shut down after 573 units. For perspective, that means the 9-4X would take the “Rarest Vehicle in Attendance” trophy at a car show that also included a Ferrari F40, a Porsche Carrera GT, a Mercedes 300SL, an Aston Martin DB5, and my own Cadillac CTS-V Wagon. So I was pretty excited when I saw the 9-4X, which meant I went home and did what any car enthusiast would: ignore mounting deadlines in order to spend the afternoon searching AutoTrader.com for used Saabs. On the used market, the 9-4X fared exactly as you might expect: like the love child of a high-mileage Maybach and one of those early Maseratis where the transmission feels like you’re riding with someone who learned to drive a stick shift over the phone. Think somewhere in the mid-$20,000 range for a 2011 model with reasonable miles, or approximately 30 percent below the mechanically similar Cadillac SRX. But why buy used when you can buy new? That’s right, ladies and gentlemen. Here we are, in the fall of 2013, two years after Saab declared bankruptcy, two and a half years after the last Saabs shipped to dealerships, and AutoTrader.com says there are still sixty-five different new 2011 Saabs for sale across the country. But I decided to do more than just wonder. Instead, I played the difficult, dangerous role of an investigative journalist, courageously fighting for you, the consumer. In other words: I actually visited a Saab dealer and looked at the Saabs. Please note it was only a mere coincidence that this was also a Cadillac dealer, and I needed an oil change. For one, the cars are holding up just fine. Yeah, so they’re covered in grime, and, in some cases, leaves left over from the fall of 2012. And OK, maybe the window stickers have faded to the point where they’re no longer readable. And sure, the tires are flat-spotted, and the rubber parts have the consistency of pumpkin bread. But you, the interested buyer, can rest easily knowing that absolutely none of this is covered under warranty. But even with $13,000 off, you have to wonder precisely who’s going to show up in the parking lot, walk right to the Saabs, and say: I’ll take it! The answer, in my opinion, is no one. And so, my message to the Saab dealers still holding on to those 65 cars is simple: GIVE UP! It’s been three years. You’ve paid off the cars, plus interest. It’s time to take them to the wholesale auction, run them without a reserve, and be thankful you got anything for them. All of this is assuming, of course, that they’ll start up and drive off the lot. If not, I wish you the best of luck in finding parts. You’re going to need it. This post originally appeared on Jalopnik.